The MCS8M Compact Audio Video Mixing Switcher from Sony is an A/V switcher with an integrated audio mixer and frame synchronizer. A user-friendly device, it boasts numerous preset DME wipe patterns, a built-in multi-viewer, single-channel frame memory output, and an Input Freeze function for every source. It also features the ability to import still images using a USB port, plus a 3D Mode function, six-channel audio mixer, AUX MIX and more! 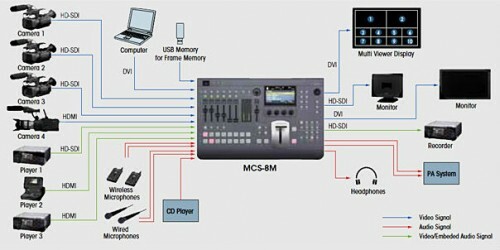 Designed for easy, intuitive operation, the MCS8M contains tools ideal for content creation and event programming. 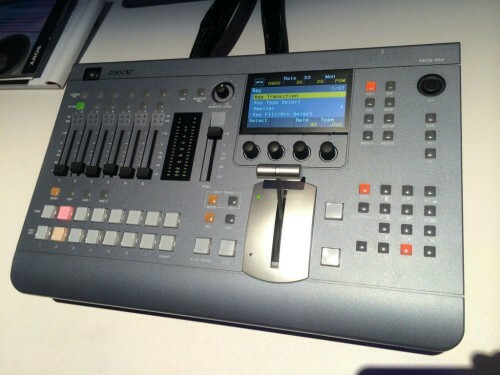 Here is a powerful, versatile and affordable switcher, great for small live productions, church presentations, school sports, corporate events, weddings, fly packs, music videos, conferencing and more. 6 month warranty, in excellent condition. Comment puis-je veuillez communiquer avec votre numéro de téléphone.